This picture was dangerously close to never existing. That's sad, right? Well cheer up, friends - I'm going to enlighten you as to how not to let sad things like that ever happen to you. Also, feel free to be happy on account of IT DID GET MADE....YAAYY!!!! Finally I decided I had to do SOMETHING, so I asked the extremely lovely Tatiana of Tatiana Lumiere Photography to put on a hooded long sleeve dress, cape, flowy black skirt (that she made), and an interesting headdress-crown-ish sort of situation; my goal was to create a witch/sorcerous character. As I crouched there inside an old abandoned shell of a greenhouse, my camera ready and my model in place, I came scarily close to just scrapping the whole thing. I just wasn't feeling it. I like to cram as much story and interest into the image as I can; I want my pictures to have a "Mary Poppins bag" of depth to them. This idea felt forced and empty - what story was I even telling anyway?...None. It was essentially just "a witch;" that's not a story. Yet ANOTHER fantastic photo by Julie Belton! She is kinda super duper awesome you guys. I would also like to take this moment to thank her for her top notch cape-flinging skills, without which "The Arrival" would never have become what it did. I figured why even bother shooting it if I wasn't into it? The sun was starting to creep closer to the horizon and my buddy Kory was requesting my highly-trained and impeccable modeling skills to be a part of this image he was planning. At the last second I realized that it would be incredibly silly to go through all the trouble of fussing with framing and camera settings, and getting Tatiana into the outfit and into place, without shooting anything at all. I was not going to go home empty-handed. So I just shot it anyway. 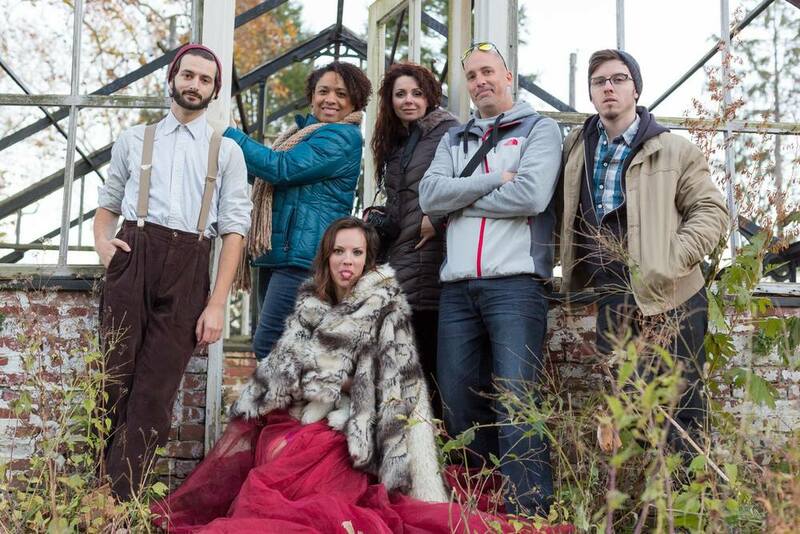 Photo by Kory Zuccarelli, and special thanks to Tom for lending me his unmatched reflector holding skills. The raw files for this image sat for a long while before I finally felt like taking a look at them. Once I did eventually dive into editing I started to really like the image, and the more I worked on it the more I really loved it! After giving my eyes and mind a several month refresher, it didn't seem like such a lame idea at all. Even if I didn't plan a lot of story while shooting, it doesn't mean it can't end up being there when it's finished. 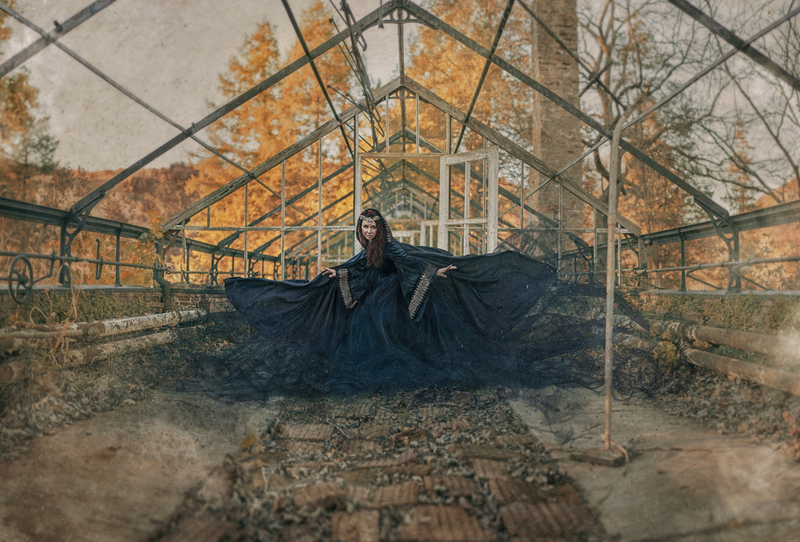 If you make an image that's visually pleasing enough, has a few interesting elements (like a badass broken down greenhouse, perhaps), and maybe a stunning lady (who's incredibly fun and easy to work with), your audience will insert some story of their own. People will often find meanings and stories in your art that you never would have thought of - just nod and smile like you planned the whole thing. I don't always have to know exactly what's happening, I just have to let it happen. Not everything has to be my best idea ever, and there really is not a problem with taking a photo now and then that is just cool for the sake of looking cool. Art is art; it doesn't always have to tell an obvious story. What I'm getting at is that if you go out to shoot something, JUST SHOOT SOMETHING! Even if you're not crazy stoked about the idea, you might find it to be brilliant once you've given it some time. Plus, when you come back to the image later, if you still aren't that excited about it (uhhhh oh well), you got some extra shooting practice in and no one has to ever see that image if you don't want them to!